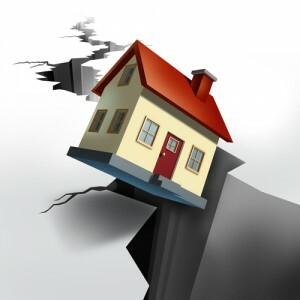 Since 2005, Florida law has defined “sinkhole loss” as “structural damage to the building, including the foundation, caused by sinkhole activity.” The term “structural damage” was long-undefined, however, leading numerous Florida courts to interpret that phrase broadly as meaning nothing more than “damage to the structure.” In 2011, however, the Florida Legislature adopted a much narrower five-part definition of “structural damage” for application when construing policies affording coverage for sinkhole loss. Fla. Stat. §627.706(2)(k) (2011). The state’s federal courts have now split on the issue of whether that definition automatically applies to contracts of insurance issued after the statute’s effective date. The question came to the forefront in Juan Pinzon and Jaqueline Espitia v. The First Liberty Ins. Corp., 2013 WL 5487027 (M.D.Fla., Sept. 30, 2013), a breach of contract action under a homeowners insurance policy. The insureds contended that their property had suffered damages from sinkhole activity, but First Liberty denied the claim after securing a professional engineer’s report that concluded that “none of the damage at the Pinzon & Espitia residence are [sic] structural damage as defined by the Florida Statutes.” A lawsuit followed. After removal, First Liberty filed for summary judgment and requested that the court apply the narrow five-part definition of “structural damage” adopted in 2011 to the insureds’ claim. Judge William Terrell Hodges agreed with First Liberty, and he granted the carrier’s motion for summary judgment. His opinion noted that no state or Eleventh Circuit precedent addressed the precise issue at bar, which was whether Fla. Stat. §627.706(2)(k) applied to an insurance contract that went into effect after the statute’s enactment date. There were, however, two prior cases in the Middle District that sided with the policyholders and refused to apply the statutory definition under similar facts. In unpublished opinions in Shelton v. Liberty Mutual Ins. Co., 2013 WL 1663290 (M.D.Fla., April 17, 2013) and Kittusamy v. First Liberty Ins. Co., 2013 U.S. Dist. LEXIS 133914 (M.D. Fla., June 12, 2013), two other Middle District jurists had declined to apply the 2011 statute to the contract of insurance at issue because the policies neither defined “structural damage” nor referred to or cited Fla. Stat. §627.706(2)(k). Judge Hodges “respectfully differ[ed]” for two reasons. First, his opinion noted that it was fundamental that the laws of Florida are part of every Florida contract. Applicable statutory regulations surrounding insurance contracts in effect at the time the policy is formed are deemed by law to be incorporated into the contract. In addition, the prefatory language of §627.706(2)(k) itself recited that “as used in connection with any policy providing coverage … for sinkhole losses, the term … “Structural damage” means” the five-part definition.